Throughout the world, sustainable wine growing practices are helping to reduce water and energy use, minimize pesticide use, build healthy soil, protect air and water quality, recycle natural resources, maintain surrounding wildlife habitat, provide employee education, and communicate with neighbors about vineyard and winery operations. WWTG is working to develop common principles of sustainability that meet environmental, social and economic sustainability goals within each country or region. A sustainable production system is based on the ability to satisfy the triple bottom line of economic, environmental and social durability. It is acknowledges that the triple bottom line "threshold" will vary between regions and individual enterprises, and that enterprises will require flexibility in establishing programs that enhance sustainability in their specific individual operating environments. Sustainable production is one of the major trends in the food industry, including the global wine trade. Wine producers are increasingly finding that adherence to sustainability credentials is a passport to trade in premium market segments. Credible sustainability credentials are based on independently operated compliance programmes. For this reason, producers and industry organisations in many WWTG member countries have made substantial investments in developing regional or national sustainability programmes. Participation in these programmes is usually indicated to the consumer via a label claim. Consequently, the way that such label claims are (or are not) regulated can have important impacts on the success of such programmes and their ability to be used in international trade. At present, there are few national laws or regulations controlling the use of sustainability claims, other than general laws regarding consumer information. The main drivers of sustainability labelling are the commercial advantages that may attach to particular labels as well as pressure from large retailers who want to enhance their own brand by making all of their suppliers comply with particular sustainability criteria. This relatively light handed approach to regulation of sustainability is already changing. Some markets, including certain WWTG member countries, already have in place administrative systems to require evidence that sustainability claims on wine labels are verifiable. The European Union is also actively considering regulation in the field of sustainability labelling. This is likely to involve a specified methodology and possibly also a mandatory label in the longer term. While regulatory control of sustainability labels can bring benefits to both consumers and to producers who have invested in bona fide programmes, there are also significant trade risks. For example, an importing country could impose additional regulatory requirements on external producers that are costly, difficult or even impossible for external producers to comply with. For sustainability in particular, it is important to bear in mind that the field of endeavour is extremely broad and the priorities will vary widely between countries and regions due to differing social, economic and environmental circumstances. Sustainability programmes should be understood as a pathway for continuous improvement rather than an endpoint. If an importing country’s sustainability priorities are imposed on producers in an exporting country, there is a significant risk that they will impose unnecessary compliance costs on those producers. Consequently, they may need to have an additional compliance and verification regime and even a different and specific label in order to establish their sustainability credentials in the importing market. Sustainability has been an item on the WWTG Industry Group Agenda since 2002. An Industry Section Statement from the meetingin Cape Town of July 2002 acknowledged existing sustainability programmes and encouraged the development of similar programmes in all WWTG members. In 2013, most WWTG members have national or regional sustainability programmes in place or under development. In 2008 in Kelowna, Canada, the Industry Section asked the Government Section to place the issue of sustainability labelling on the WWTG agenda for future work, and it has been a key item for discussion since that time. 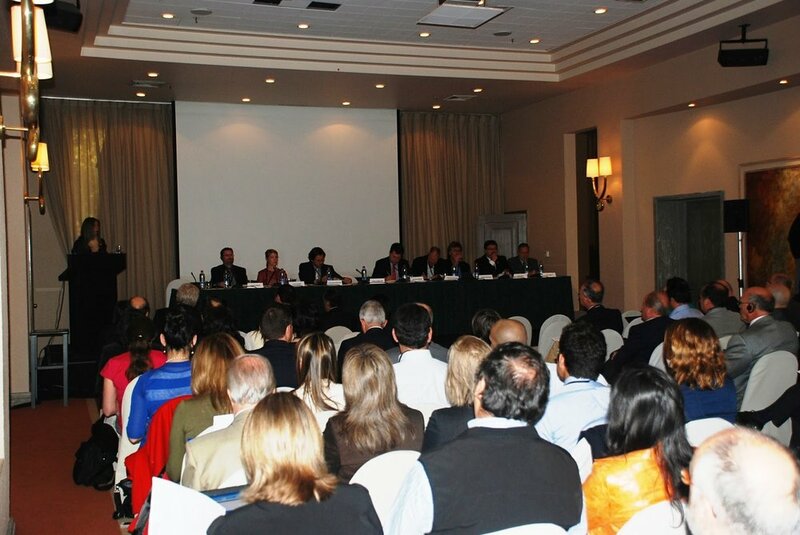 In the 2011 meeting in Santiago, Chile, a joint seminar between WWTG and FIVS was held examining the sustainability initiatives of various WWTG members as well as those of some European countries. The presenations given at this seminar may be found here. During the Santiago meeting, the Industry Section proposed a set of broad principles to align labelling claims made in relation to national and regional sustainability programmes with the requirements of Article 5(1) of the Agreement on Requirements for Labelling. Industry expressed a strong commitment to further developing the principles-based approach expressed in the Santiago statement. WWTG governments noted this development and encouraged industry representatives to continue with development and implementation of that approach. Pursuant to its commitment, the Industry Section prepared a detailed sustainability matrix setting out the objectives, methods and monitoring of environmental, economic and social sustainability programmes operating at the national or regional level in WWTG members. This was presented to the WWTG Governments in Auckland in November 2012. Sustainability labelling claims for wine are a matter of increasing importance for wine producers, retailers and consumers. Within WWTG member countries, a range of national and regional voluntary programmes have been implemented to varying degrees to demonstrate sustainability principles, and WWTG wine industries have accepted that compliance with these programmes be independently verified. Article 4 of the 2007 Agreement on Requirements for Wine Labelling (2007 Agreement) requires that measures related to labelling be transparent, non-discriminatory and applied in conformity with the WTO Agreement. Article 5(1) of the 2007 Agreement requires that labelling claims are clear, specific, accurate, truthful and not misleading to the consumer. WWTG Member Governments recognise that wine labels with sustainability claims need to be consistent with Article 5(1) of the 2007 Agreement. WWTG Member Governments intend to continue to engage with WWTG industry representatives regarding wine sustainability initiatives. This statement provides a basis on which Governments can assess the future evolution of national and regional industry sustainability schemes in WWTG members. The WWTG Industry Group considers that the schemes presented in the Matrix are world-leading and will continue to develop in a consistent and transparent way.